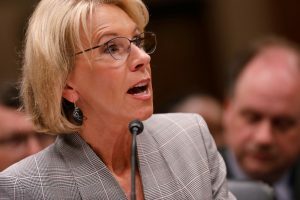 Although U.S. Secretary of Education Betsy DeVos took office in February pledging to let states seize control of key education policy decisions under the new federal K-12 law, her department’s responses to states’ ESSA plans have surprised—and in some cases irritated—state leaders and others. Last month, the Council of Chief State School Officers said the first set of feedback to three states was “too prescriptive in certain areas and goes beyond the intent of the law.” Early indications are that states won’t necessarily make sweeping changes just to please DeVos’ team. And in an interview, Sen. Lamar Alexander, R-Tenn., one of ESSA’s architects, said the feedback letters seem to fly in the face of the law’s intention that the states—not the federal government—should be calling the shots when it comes to the details of school accountability. “I want to nip in the bud the idea that somehow it’s business as usual in Washington,” Alexander said. The department’s responses to states haven’t been entirely consistent. For example, Delaware—one of the first three states to get feedback from federal officials about its ESSA plan—was told by peer reviewers that its proposed use of AP courses for measuring college- and career-readiness wouldn’t fly. But the department didn’t voice the same concerns about similar approaches in plans submitted by Louisiana and Tennessee. Sen. Lamar Alexander, R-Tenn., one of ESSA’s architects, said the feedback letters seem to fly in the face of the law’s intention that the states—not the federal government—should be calling the shots when it comes to the details of school accountability. For states, there’s a balancing act between wanting to submit a plan that will pass legal muster at the department and wanting to take advantage of the flexibility that’s in ESSA, said Julie Rowland Woods, a policy analyst with the Education Commission of the States who has been tracking states’ work on the law. “There’s sort of mixed messages coming from the department, and states are really looking for guidance on how they can complete these plans in an appropriate way,” Woods said. In June, department leaders raised concerns about elements of Delaware’s plan. Among other issues, they indicated that the state’s long-term academic goals weren’t truly “ambitious” (a term that is used in ESSA but is not defined by the law), and that the state’s plan to use yardsticks like AP scores was a nonstarter. But in a revised plan the state sent to Washington later that month, Delaware kept options such as AP for schools to use to measure post-secondary readiness, saying that contrary to the department’s feedback, all options listed were universally available to schools serving grades 9-12. And it declined to change those long-term goals, saying that regardless of the department’s view of what counts as “ambitious,” the state’s push to cut in half the ranks of students not proficient in math and English/language arts by 2030 represented a big challenge. “To reach these goals for the lowest-performing subgroups, it requires approximately a 3 percentage-point increase in proficiency year over year, which is extremely ambitious for our [districts],” a Delaware department spokeswoman, Alison May, said. Nevada moved its science tests out of the core academic-achievement indicator and under the school quality and student-success umbrella in its revised plan, said the state’s deputy superintendent for student achievement, Brett Barley. The U.S. Department of Education has expressed skepticism about elements of [states’] plans, from the ambitiousness of long-term academic goals to the use of Advanced Placement exams in state accountability systems. “We never got feedback from them that made us say, ‘Wow, this is something that we don’t want to do,’ ” Barley said. The department said Connecticut’s plan to use science-test scores the same way it uses its reading and math scores in accountability doesn’t match the law; Louisiana and Tennessee got similar warning flags in their feedback. And Tennessee’s plan raised the issue of “super subgroups,” which combine various student groups into a single one. Tennessee plans to use such a combined group for accountability purposes, but the department told state education Commissioner Candice McQueen that each subgroup must count separately. Andrew Ujifusa is a reporter for Education Week. 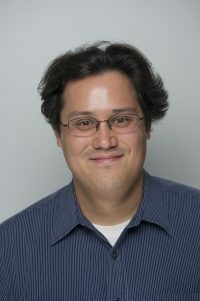 He covers education policy at the federal and state levels and writes for the Politics K-12 blog.